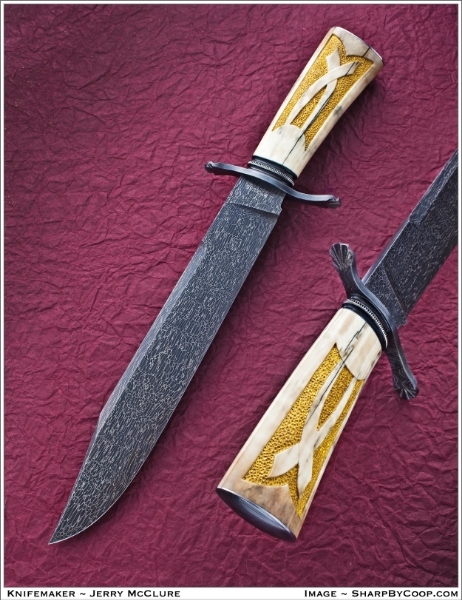 My career in knifemaking began in 1965 after learning to forge steel in high school welding class. 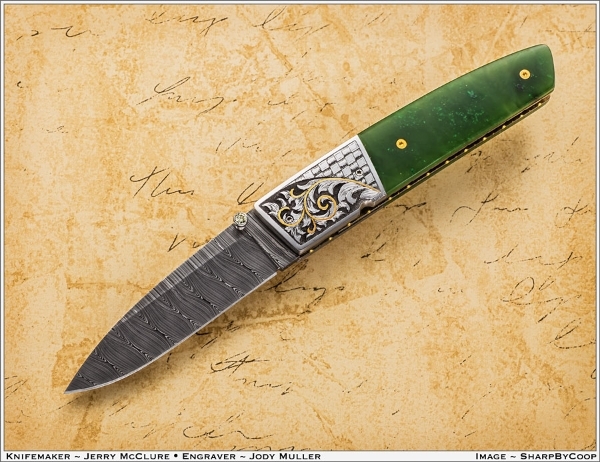 I made knives as a casual hobby for many years before becoming a professional knifemaker in the late eighties. I have always been in the metal working business as a welder, mechanic and professional body man building high end steel rods. 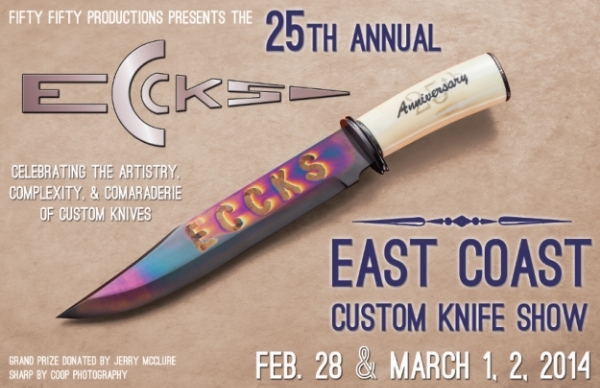 I am a voting member of the Knife Makers Guild, Professional Knife Makers Association, Charter Member of the Texas Knife Makers and Collectors Association and the Knife Group Association of Oklahoma. 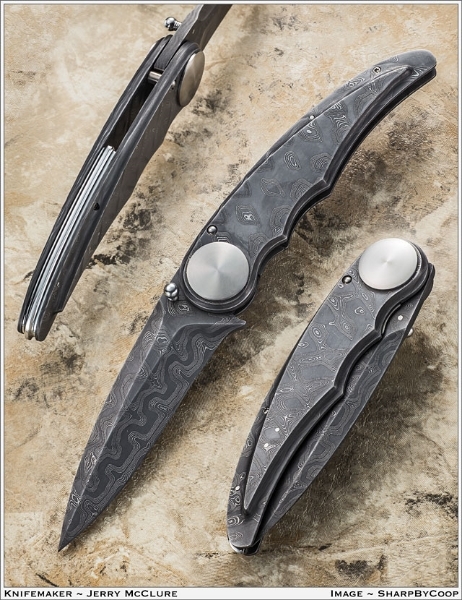 Using simple, as well as state of the art materials, I make many fixed and folding blade design knives. 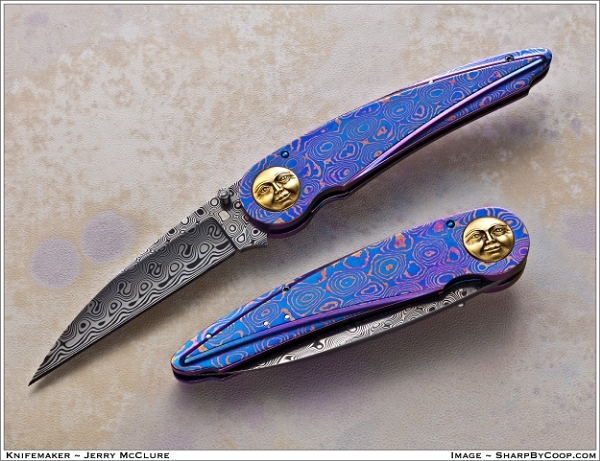 I use the liner lock system and my own jeweled pivot system on my specialty gentleman's folding knives. 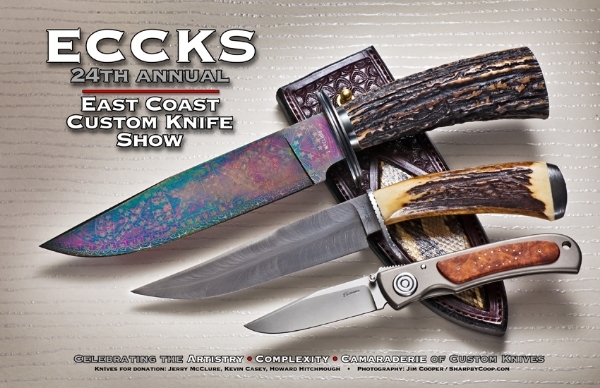 Many of my fixed blade knives are hand-forged, one of a kind Damascus blades which are my original design and will not be duplicated. 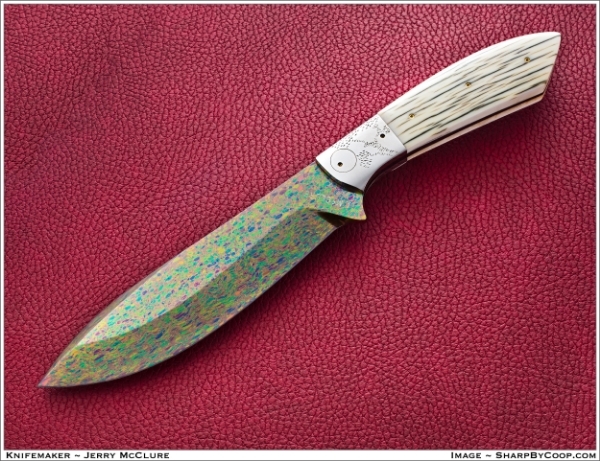 I use a variety of steel in the construction of my knives such as hi carbon, stainless, my own patterns of welded Damascus as well as several other knife maker's Damascus knives.